Christine Hanolsy is a science fiction and fantasy writer who cannot resist a love story. 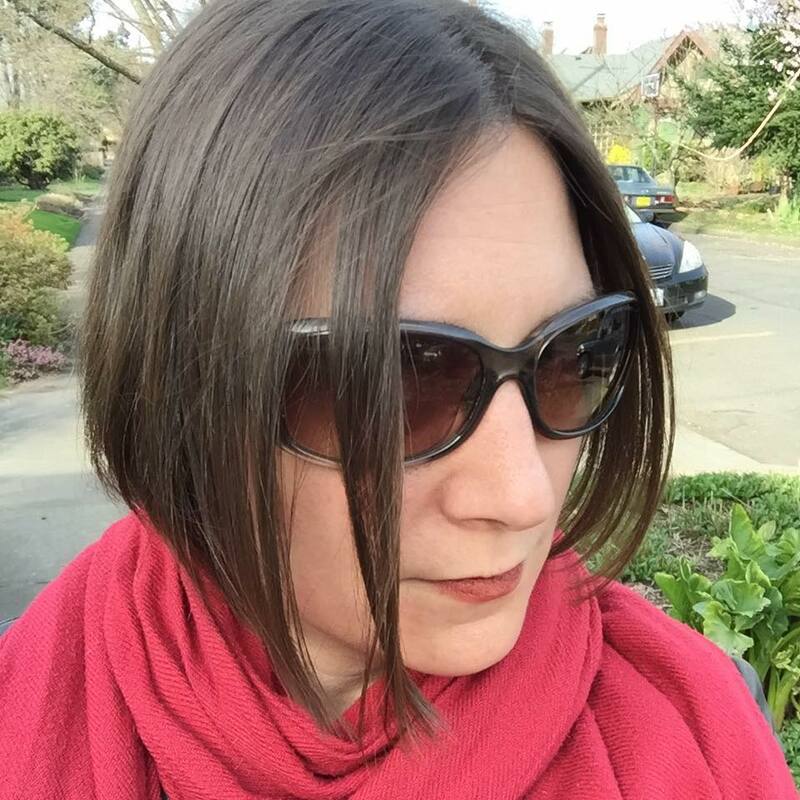 She serves on the editorial staff of the online writing community YeahWrite, where her primary portfolio includes microprose, flash fiction, and poetry. She was a 2015 BlogHer Voices of the Year recipient and community keynote speaker for her essay Rights and Privileges. Co-authored with Rowan Beckett Grigsby, her first novel, The Jade Dragon, was completed in 2018 and she is actively seeking representation. Christine lives in Portland, Oregon, USA, with her wife and their two sons. Thanks for linking up to us! I didn’t realize, until I read your post, that this is how I write, too. I find a phrase or sentence or idea and just worry it out all day or all night, until I have the chance to commit it to paper somewhere. Welcome to Trifecta. Glad I stopped by here and learned a bit about you. Hope to see more of your work in the future. I do the same thing, I usually come up with ideas when I’m not at home and without a handy writing device. I am glad that I usually have my phone on me to text certain ideas back to myself. I have 3 children all past the baby stages, but can still appreciate the amount of time one has to sit down and write. Oh, you are sweet! I have been slammed with work and home life, and have no words to spare, lately. I will get back into it soon! Glad I found your blog. It have a feeling I will be spending a lot of time catching up on your past posts as I love your writing style. It is the type of writing that, should I ever take the plunge into pursuing fiction writing, will cause quite a bit of jealousy. And in writing I consider jealousy and admiration two sides to the same coin. Pingback: Writing Barefoot. | W.T.F. Wow, your life sounds similar to mine, including the bike rides to school. It’s a good way to break up the work day, isn’t it? Hi, Christine! Wanted to let you know that next week (Monday, January 18th, at 3pm EST), dVerse is kicking off a new feature called the Quadrille, with a limitation of 44 words (and must use a provided word). Similar to Trifecta, which I soooooo still miss! Wanted to let you know. Would love to see you over there! Hope all is well. de. How cool! I will definitely come to check it out. I was feeling nostalgic for Trifecta. Where are you writing now? I almost missed your comment – it’s fabulous to hear from you! My blog has suffered over the last few months as I’ve been working on another project offline… Mostly I am writing over at yeah write (http://yeahwrite.me) where I manage the 42-word microstory challenge. Come join us? Hi, Christine! I nominated you for the Blogger Recognition Award. You can learn more about it here: https://nancykoziol.com/2017/02/07/blogger-recognition-award/ or just know that your blog has given me great pleasure to read! Tony, your note was the most pleasant surprise this morning! Thank you so much!